In the last post of this series I took you through my process for finding and booking cheap flights. But for you and your next trip, transport costs might not stop there. There are a bunch of other transport options that you may need to consider once you arrive in your first destination. If you are flying into one place and staying there for the duration of your trip, then this may not apply to you. However, if you are planning to get out and explore more of a single country or region, then you will likely use more than just a plane to get around. First there are a few things you need to consider to allow you to choose the right means of transport for your trip. The purpose of your trip will help you decide what type of transportation to choose. If you are planning to see a lot in a small amount of time, then a faster means of transport will suit you best. However, if the journey is all part of the experience for you, then something a bit slower could be just what you are after. Back in step two of this series, you would have done a small amount of research on transport to determine your budget. The figure you came up with will now come in handy as you decide on exactly which mode of transport you should be using based on the amount of money you can spend on transport. Buses will almost always be the cheapest way to travel, so if you have a smaller budget and plenty of time, this could be a good option for you. More money to spend? Maybe a luxury cruise or train trip will work. The more time you have, the slower your travel can be. If you are visiting Europe and seeing five cities in 10 days, high speed trains will be your most efficient way of getting around. However, if you are visiting those same five cities in a month, then you could save money by taking the bus or hiring a car. Travelling with kids? Having a rental car or motor home might be easier for when they fall asleep after a long day or for those days where they just stay grumpy! Mobility issues? Trains have no steps and comfy seats for long journey’s. Cruises are also a great option here because there is limited walking required. Sea sickness? You might want to avoid any prolonged transport on water. Or maybe you just find it impossible to pack light. In this case, avoid any form of transport where you will be hauling your baggage around a lot or where space to store them could be limited. Below I have outlined the most popular forms of ground (and sea) transport and why you might need to look into booking them. 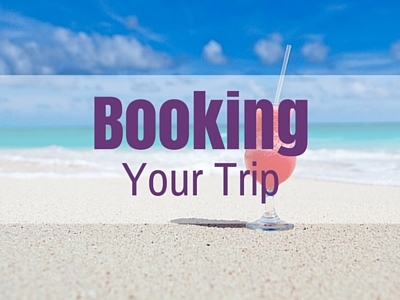 I’ve also included some helpful links on where to find more information and make bookings. Some specific to regions, others more general. In certain parts of the world, trains are the most commonly used means of transport for visitor and locals. And in most parts of the world, they are by far the fastest way to get around. In Europe and Asia, you can move from city to city and even country to country in no time at all with train speeds reaching over 300 km per hour in some places. If you are travelling in Europe or parts of Asia like Japan, China and South Korea, I would recommend train travel as the most efficient and cost effective way to get around. In other regions, trains are slower, sometime painfully slow. So if you are in a hurry, train travel might not be the best option. However, if a scenic journey is what you are after, then there are some stunning slower journey’s you can take in places like Australia, Canada, South America and through the European Alps. Man in Seat 61 – While Mark covers train travel around the world, his specialty is Europe. Deutsche Bahn – This Germany train site has the most comprehensive timetables for services all over Europe. 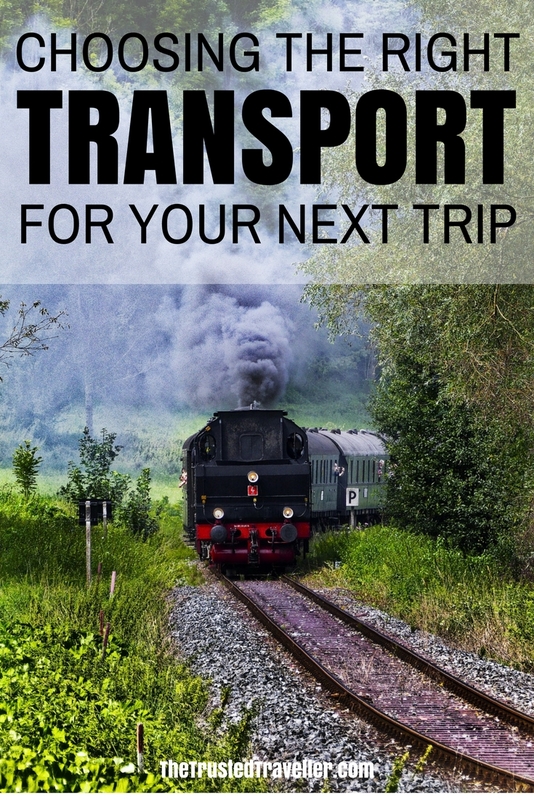 12Go – Plan and book transport in South East Asia, including trains. The most comprehensive website you will find for the region. Japan Guide – Get all the info you need to planning, booking and using the trains in Japan. China Travel Guide – Plan and book trains in China. Travel Taiwan by Train – The guys at My Tan Feet have put together this great guide to train travel in Taiwan. Australian Trains – This website has a great overview of train journey’s you can take in Australia. New Zealand Rail – Despite it’s size, New Zealand has a few scenic trains worth checking out. Amtrak – Plan and book train travel across the USA. ViaRail – Plan and book train travel in Canada. Wanderlust Magazine – Be inspired to travel by rail in South America with these 8 unforgettable train journeys. Man in Seat 61 – While his focus is on Europe, Mark has the most comprehensive guide to train travel in South America also. 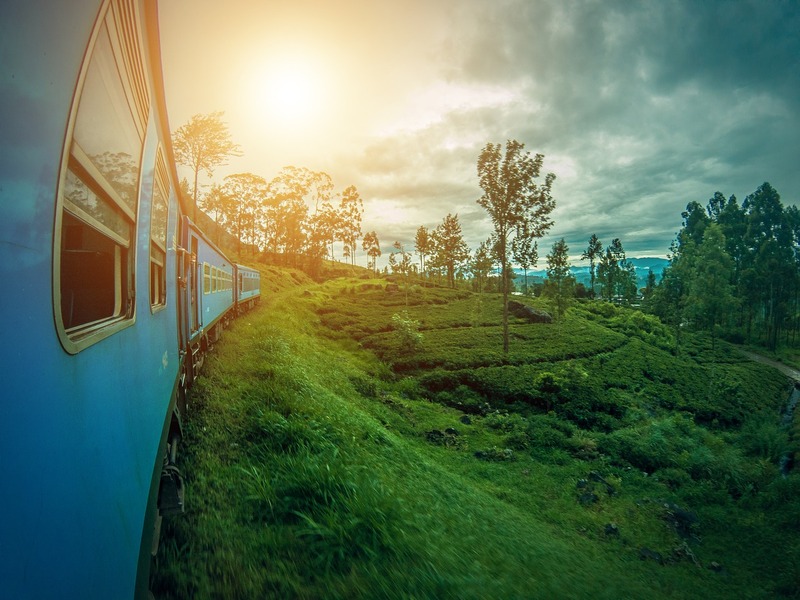 Huffington Post – Check out these 11 memorable train journeys in Africa to get you inspired. Man in Seat 61 – Mark has you covered again for train travel in Africa. In areas where there a no, or very slow trains, the bus is your next best option for getting around. 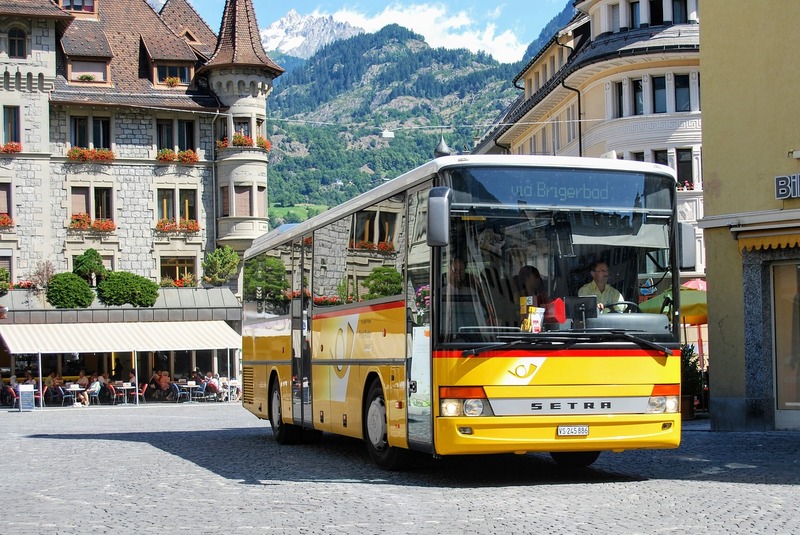 Buses or coaches are available in every country of the world and connect major cities with regional towns. Comfort wise, it can vary greatly from region to region. In South America for example, coaches have wide reclining seats and lots of leg room. Especially good for long journey’s. Buses are also much cheaper than most other forms of transport. And in most regions, passes or hop-on-hop-off style backpacker bus passes can be purchased saving you even more. For example, the Naked Bus in New Zealand has been known to offer $1 tickets. Choose a bus if you have lots of time or are on a tight budget. Eurolines – Covers all the major cities and regions of Europe. MegaBus – The cheapest way to travel Europe by bus. Busabout – Hop-on-hop-off backpacker bus that follows a specific loop around Europe. 12Go – Plan and book transport in Asia, including buses. The most comprehensive website you will find for the region. Japan Guide – Get all the info you need to planning, booking and using buses in Japan. Travel China Cheaper – A great guide for travelling China by bus. Greyhound Australia – The most comprehensive network of buses in Australia. Oz Experience – Backpacker bus network in Australia. InterCity New Zealand – The most comprehensive network of buses in New Zealand. Naked Bus – Cheap bus network in New Zealand. Not just for backpackers! Greyhound USA – The most comprehensive network of buses in the USA. MegaBus – Cheap bus network expanding into the USA. Greyhound Canada – The most comprehensive network of buses in Canada. Mexperience – A comprehensive guide to travelling by bus in Mexico. Green Toad Bus – Buy bus travel passes for travel in South America. Lonely Planet – A guide to getting around South America by bus. Baz Bus – South Africa’s hp-on-hop-off bus network for backpackers. Greyhound Africa – Covers South Africa, Zimbabwe and Mozambique. Intercape – Covers South Africa, Zimbabwe, Mozambique, Botswana, Namibia, Malawi and Zambia. 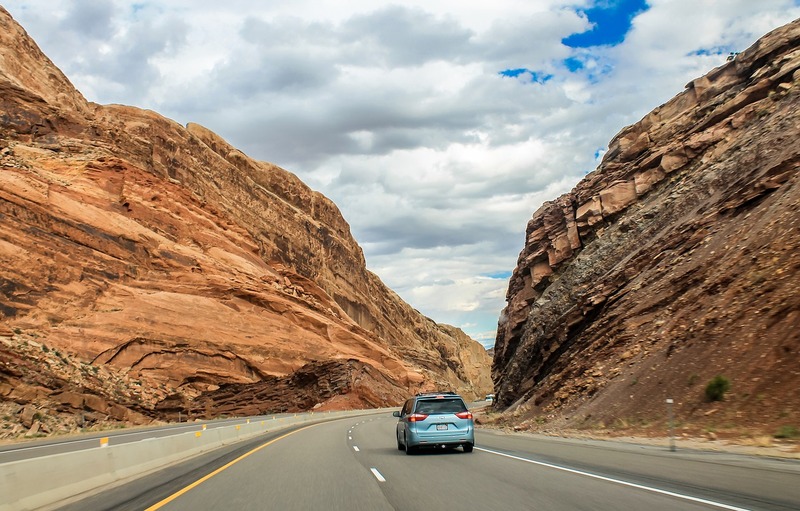 Road tripping is one of the world’s most popular forms of travel. Most people have fond memories of their childhood taking road trips in school holidays with their families. And taking these road trips doesn’t have to stop once you grow up. Whether it’s a short few days jaunt or month’s at time driving around a country or a region, a road trip is one of the easiest ways to see the world. Is your drivers licence valid to drive in your chosen country or do you need an international permit? Check with your local road authority well in advance of your trip. Will you be driving on the left or right hand side of the road? Are there any unusual or different driving rules? What size vehicle will I need to fit all passengers and luggage? Rental car companies can be found in all airports around the world and in most city centres too. Booking in advance is recommended so you don’t arrive and find out there are no cars available. I use and recommend Expedia for all car hire around the world. If you are interested in hiring a motor bike, you are best to do this in the destination when you arrive for the best deals. 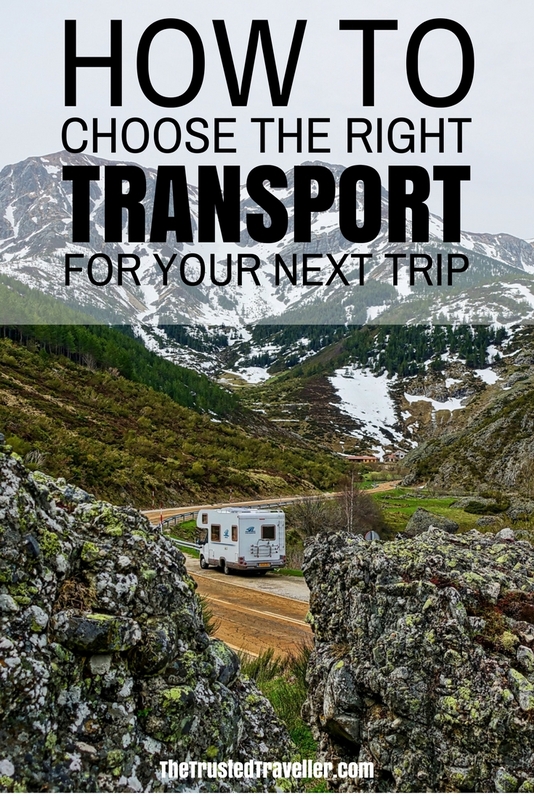 Similar to hiring a car, renting a motor home or campervan gives you the freedom to explore a country or region at your won pace. 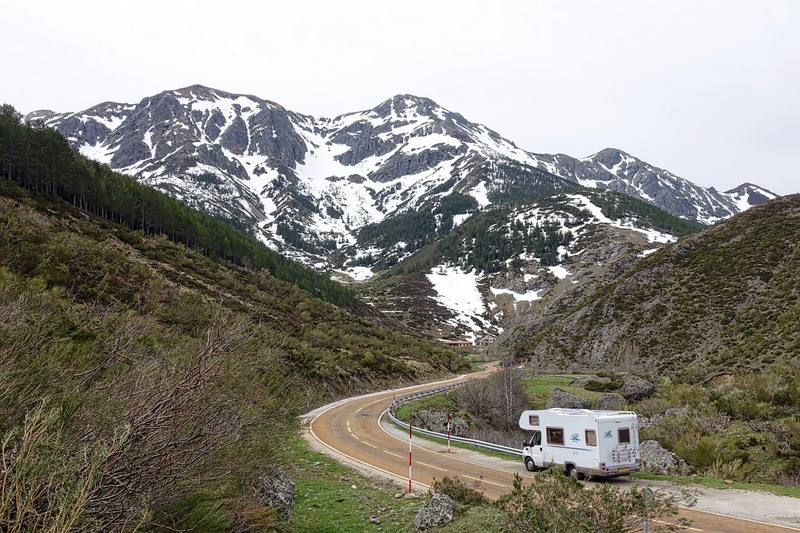 Usually you would hire a motor home if you were planning to travel longer term, however, even a two week vacation can work with a motor home. They come in all shapes and sizes, from pop up camper trailers that you can tow behind your car, to tiny two person vans, basic family vans where you would utilise the outside space more and top of the line luxury vans with a full bathroom, bedroom(s) and cooking facilities. Picking one that suits your level of comfort and needs is important to help ensure you have a relaxing and enjoyable time. If getting up to go to the bathroom in the middle of night and having to find the outside amenities block doesn’t appeal to you, then you’ll want to hire one that has a toilet on-board. VroomVroomVroom – Compare prices and book a campervan all over the world. 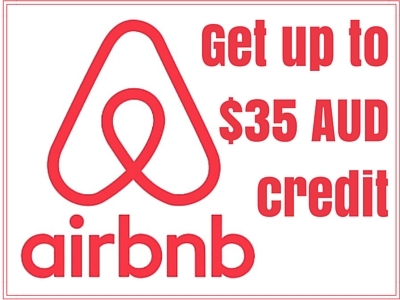 Apollo – Rental a campervan in Australia, New Zealand or the USA. AutoEurope – For all motorhome rental across Europe. Wicked Campers – Budget friendly vans around the world. The ones with the funky paint job! If you are looking for an all-inclusive, unpack once type of holiday with stacks of entertainment, then look no further than a cruise. They get a bad wrap from time to time due to sickness outbreaks and bad weather, but 99% of the time, cruises are a great option for those looking for a relaxing vacation. Cruises leave from major coastal and river side cities all over the world and come in all shapes and sizes. From local ferries, intimate river cruises, small ship luxury to mega ship, bigger than a hotel type experiences. Great deals can be found for cruises, especially packages that include all your meals, drinks and entertainment. They are an excellent option for those travelling on a budget, first time travellers and people who might be a little less mobile. 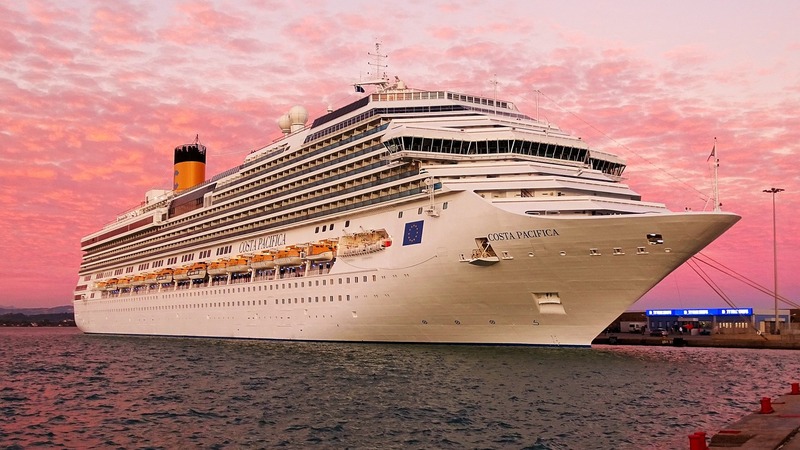 I use and recommend Expedia for booking cruises all over the world. Do you have a preferred transport type when you travel? I totally agree when you said that traveling with kids or going from place to place where one needs to haul a baggage is a primary consideration when choosing the type of transportation that one should take. I am planning to travel with my wife and kids soon, and we will obviously have a lot of luggage with us. I’ll make sure that we get in touch with a transportation service provider that can give us enough space to make the travel more comfortable. We travelled through Ecuador for three months last year and primarily used local bus transport to get from city to city, town to town. Sometimes we used the collectivo vans or taxis between smaller villages where we shared a ride with other passengers heading in the same direction. In sharing the rides, it gave us a chance to talk to the locals, practice our Spanish and get a much cheaper ride than taking the tourist buses. We preferred to take the local transport option over the tourist ones, although we do recommend strong stomachs when using the local buses in Quito – all the bus drivers think they are rally car drivers as they speed and take the corners way too fast. We did see a few crashes but luckily weren’t involved in any. Great insight Paul. Thanks for sharing. 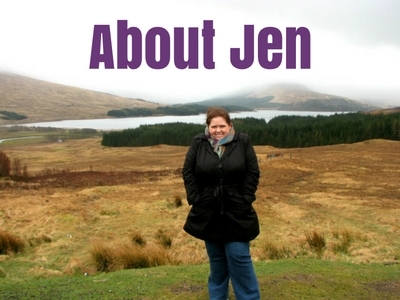 Hi Jen, I am so thankful for what you have shared about the importance of getting the right kind of transportation. I found it interesting when you said that we can save more money by taking a bus or a car. Most especially, if we arrive at the airport alone. More power! I like how you mentioned that before choosing your transportation, you should consider your budget. My family and I are going on vacation this summer, and I am trying to figure out what the best form of transportation would be. I will definitely keep your tips in mind when choosing the transportation we will use on our trip.